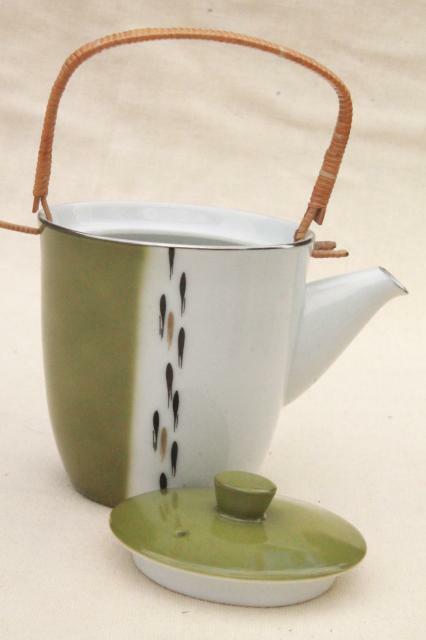 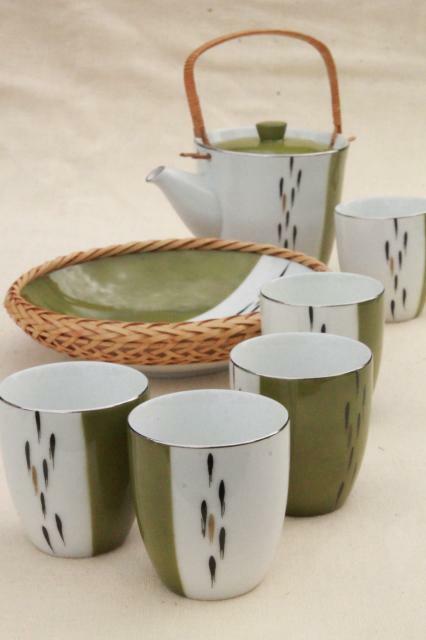 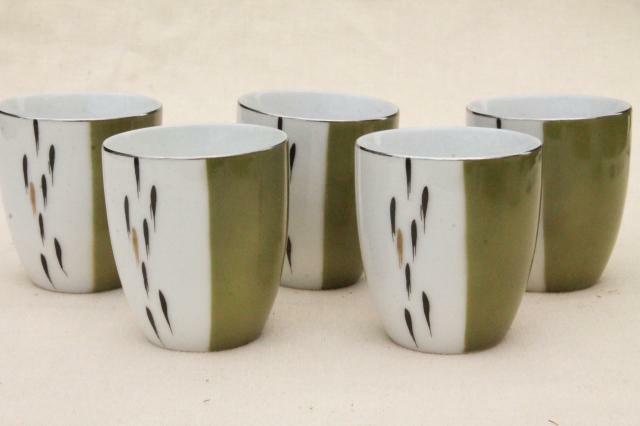 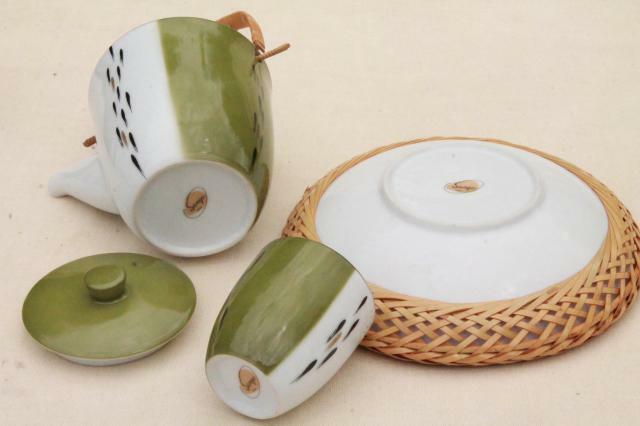 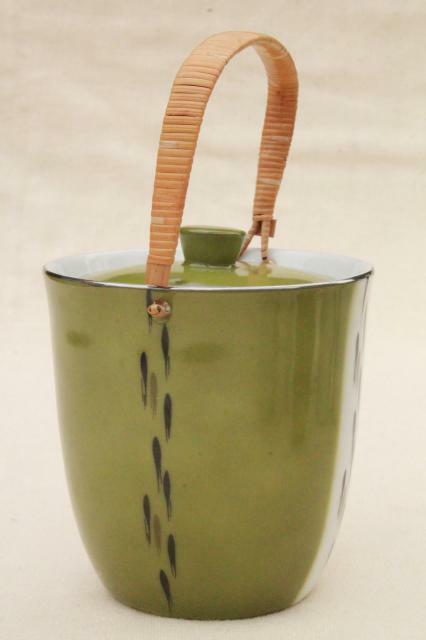 Beautiful modern style Japanese porcelain tea set, with five tea glasses, a rattan handled tea pot, and a basket weave edged bowl with china bowl inside. 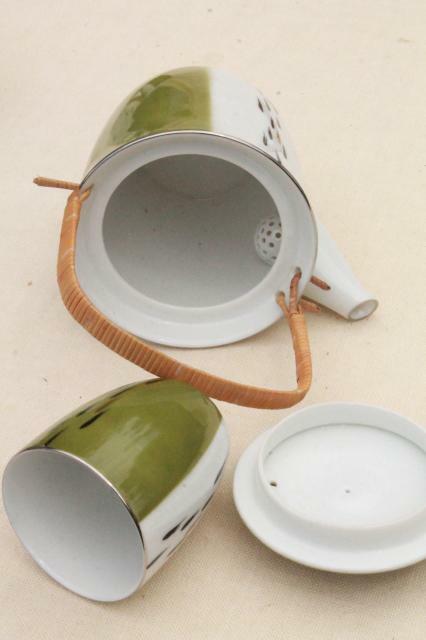 This is all in excellent condition - I don't believe this set was ever used. 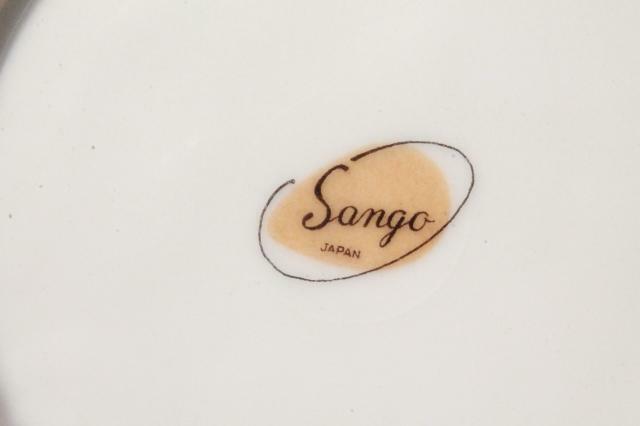 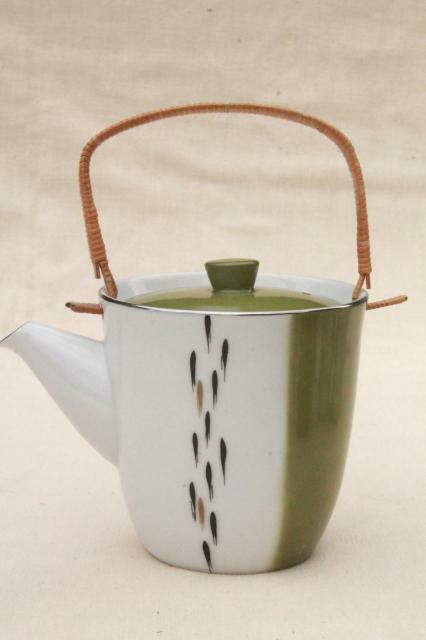 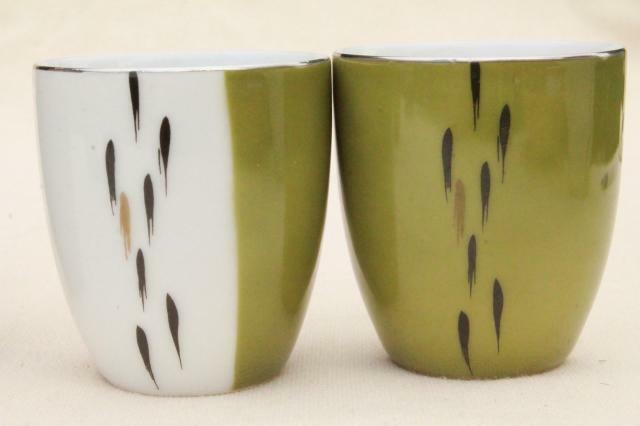 It's marked Sango Japan, probably 1970s vintage, we think. 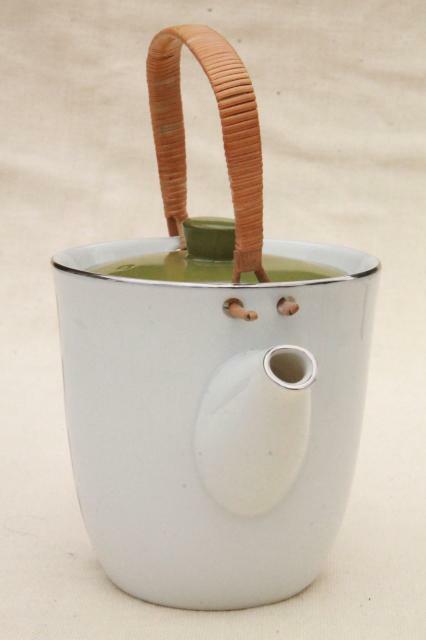 The glasses are 2 3/4" tall, and the teapot is about a 2 cup size (2 cups in measure, not 2 glasses from the set), 6 3/4" tall to the top of the upright rattan handle. 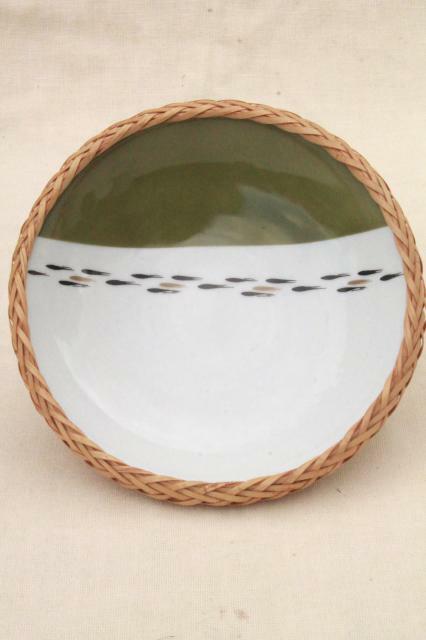 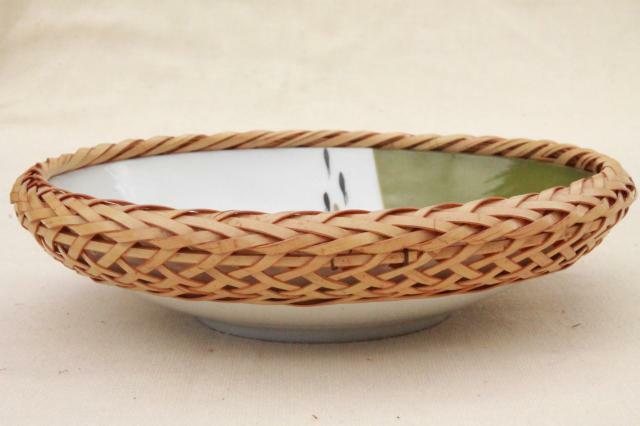 The bowl measures 7 1/2" in diameter.